I grew up in the small town of Rocky River, Ohio. Since the age of 12, I worked in my dad’s machine shop. It was modest, five employees in the good times, just the two of us in the bad. That was my inspiration for going into engineering at Purdue University. My dad hoped I would come back and help run the factory, however, after receiving a General Motors Fellowship to attend Harvard Business School, I think he knew that wouldn’t be the case. I started my career at GM and had great mentors that helped me become the youngest-ever VP at GM before I moved out to Silicon Valley on my 30th birthday to pursue my dream of being an entrepreneur. The first company I helped start, Rasna, developed computer-aided engineering software. We assembled a great team and created a truly revolutionary product that is still helping companies around the world today, including my oldest son who is working on the Mars robot arm at the Jet Propulsion Lab at NASA. We eventually sold Rasna to Parametric Technology Corporation for $500M. Soon after that, I went on with several of our Rasna team and other Silicon Valley luminaries to begin the epic ride of founding Ariba. I took on the role of Chairman and CEO. During my 7-year tenure, we created the category of Business to Business E-commerce, took the company public and eventually reached a market cap of $40B USD. I later took a break from the CEO role and had the privilege of serving on many high-tech boards, but the closest to my heart was my time spent as the Chairman of the Board at my alma mater, Purdue University, the largest engineering school in the US. In 2009, a small 50-person eSignature cloud company, DocuSign, caught my attention. I joined as Chairman of the Board and shortly thereafter took the role of CEO. We saw incredible growth and expansion during that time. 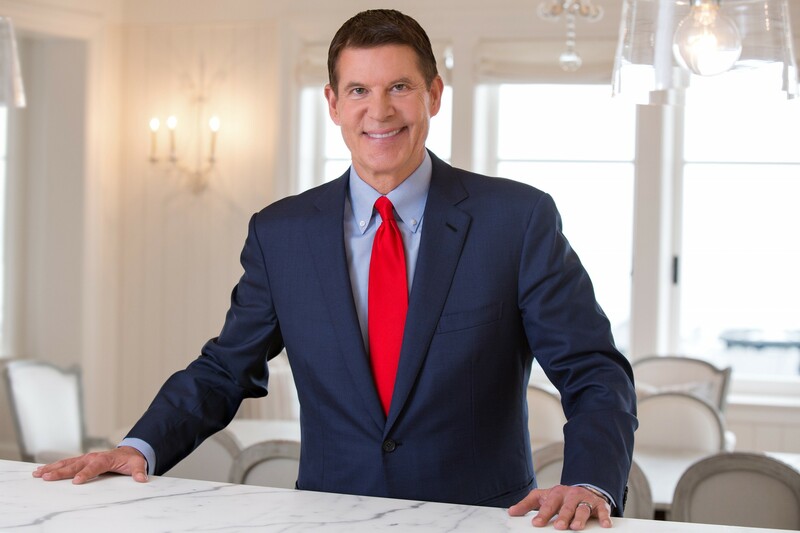 And then earlier this year, I handed over the reins to our great new CEO, Dan Springer, and I continue to serve him and the DocuSign family as Chairman. I always thought I would go back to Ohio and help my dad grow the machine shop. I would have never guessed that I would be an executive at the largest corporation in the world and then go to California and help build multiple game-changing companies; let alone be the Chairman of my University. But as I reflect, I learned valuable lessons and universal principles at each stop along the way. Such as…never get too high on the highs or too low on the lows; you learn more from your failures than your successes. A key life skill is when the world hands you a bag of lemons, you are able to make sweet lemonade out of it. In addition to being an active Chairman for DocuSign, my passions are inspiring the next generation of global leaders and entrepreneurs through leadership development training. As well as working with various governments around the world to accelerate their country’s digital transformations. DocuSign experienced 60x growth under your leadership. How did you achieve this in such a competitive marketplace? Build a high-performance team that consists of a diverse group of A players who are not afraid to challenge the status quo, have great pattern recognition and know how to execute. Develop a well thought out strategy that identifies an unserved need in the market place, (typically brought on by a technology paradigm shift) and create a category and platform around it. Cultivate a strong ecosystem of showcase customers, partners, advisory board and industry standards that turbo charges a network effect. Inspire a shared vision of becoming the global standard and encourage the heart with a noble cause. In DocuSign’s case, it was to change the way business gets done – simply, digitally, securely. DocuSign has established a number of partnerships across a wide range of industries. Any advice for building and maintaining them? In addition to trust, it is also important to build a 60-60 partnership. This simply means both parties get the best part of the deal. Measure your success by your partner’s success, which means their key metrics. These simple principles have served DocuSign well, as its partnerships have flourished with such global giants as Microsoft, Google, SAP, Visa, Deutsche Telecom, Intel, NTT, Dell, Salesforce, Mitsui, Comcast, Samsung, National Association of Realtors and FedEx. All these strategic relationships incorporate equity investment, technology integration, joint go-to-market and enterprise customer into a multidimensional partnership – all critical to DocuSign’s growth. What’s next for DocuSign? Do you think the company can continue to grow at its current rate? Today, DocuSign has over 300K customers, 200M+ unique users in 188 countries and is adding two million unique users a week. John Cryan, the CEO of Deutsche Bank, has said:, “DocuSign has emerged as the clear leader for perhaps one of the most strategic, and potentially one of the largest, categories in the cloud today – Digital Transaction Management.” DocuSign has become a clear catalyst for accelerating companies’ and countries’ digital transformations. DocuSign deployed at mass scale can make every decision, approval and agreement digital. The key is to continue the focus. Will legislation such as the forthcoming GDPR affect startups’ ability to scale? If so, how? For a company like DocuSign, which has invested tremendously in trust and security, we are excited to be part of the solution. We look at the GDPR regulation as an opportunity to become more valuable for our customer and partners. What advice would you give to CEOs keen to replicate the kind of success you had with DocuSign? One of the best pieces came from my father. He said, “When you’re with the pope, you pray; when you’re with a drunkard you drink. And anything in between goes, but always be yourself.” To me this means have range with integrity. It is important to have a broad spectrum of friends, employees, and relationships of all types. I truly believe that diversity of thought is an essential ingredient for driving innovation. Having a team with different temperaments, talents and convictions is the catalyst for genius and the secret sauce for being an authentic leader.